"Tikal is owned by Ernesto Catena, son of Argentine wine pioneer Nicolás Catena, and is named after his son. Ernesto spent his childhood in the vineyards of Mendoza among wine-growers and local pundits. Since then, he has experienced a kaleidoscope of cultures, living in New York, Buenos Aires, Berkeley, Cambridge (MA), Milan and London. 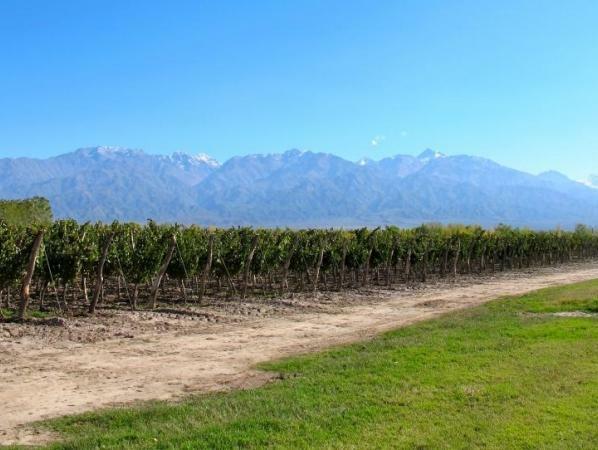 But his heart remains in his homeland of Argentina (where he now lives), with its natural beauty of mountains, streams and vineyards, its wines, and its people who hold a special passion for living. There are few wine brands that reflect the sensibilities of their owner more than Tikal. A skilled horseman, fashion designer, software developer, and book editor, Ernesto pursues all that gives pleasure in life. This hedonism (in the best sense of the word) shows through in the wines. It is a style meant to provide enormous pleasure rather than provoke contemplation; an expression of emotion rather than intellect. He has named his wines with passion in mind: Patriota (Patriot), Amorio (Love Affair), Jubilo (Rejoice). Please click on any of the underlined wines to view notes on the current releases. Luis Reginato is the winemaker at Tikal as of the 2002 vintage. Luis is young, but is already a highly trained and respected vineyard consultant and winemaker with long experience at his family's winery in Mendoza. Truly an up and coming talent, Luis and his wines are already garnering high praise from U.S. wine critics. Definitely a winemaker to watch." Wine Spectator 91"Rich but very well-focused, with Kenya AA coffee framing the roasted fig, hoisin sauce and plum pudding notes, which glide through the graphite-supported finish. Muscular, but defined and fresh. Impressive."